The start of January signals an opportunity for change and the chance to be the best ‘us’ possible. A new year brings with it excitement and for many of us the inspiration to set some goals to get out there and try new things and work towards self-improvement. The story goes that as we sit waiting for those fireworks to bang and the clock to strike midnight, we decide to make this year – 2019 – the best one yet. It’s a tradition that’s been around for over 4,000 years and for good reason. It presents us with the opportunity to boost our motivation and kick the New Year off the right way. Despite all our best intentions, come mid-January/February, life, work and normal day-to-day routine kicks back in and starts to get in the way of us reaching those goals. Make a change this year and say no to giving in too quickly on those fabulous ‘new year, new me’ goals. Make this the year for setting some sustainable habits and achieving your goals. Need some tips on ways to make sure 2019 is your best year yet? We’ve got you. Here at Bratts we’ve put together 5 ways to start off your year the right way. Ahh – the dreaded back-to-work messy desk. Having an untidy desk at work or mess around the house can be the small mountain you need to tackle to get yourself on track for a good year. You might look at those unorganised stacks of papers and books as fondly as an old friend. Hey, as long as you know where everything is – it’s organised, right? Wrong! As they say, ‘tidy desk, tidy mind’ By organising your desk and your life – you can make setting and achieving your goals much easier and make 2019 smooth sailing. Stay organised this year by creating a routine for yourself. By having a schedule of things you need to complete, you can make your day more organised and productive. With fewer things to pop up suddenly and stress you out throughout the day, you can find more time for staying on top of your jobs. A new diary is going to be your best friend here. We have a beautiful range of diaries to make writing out those to-do lists a delight instead of a chore. Keeping your diary full with important dates and regular to-do-lists will help you feel accomplished as you tick each entry off. Good friends make the world go around, and having a group of friends around you that you enjoy spending time with can help make the difference between having a mediocre 2019 or an amazing year. Friends help lift you up during the sad times and make the fun times even more memorable. In this New Year, try to focus more on scheduling time with your friends. Work or relationships can often dominate your time, but making sure you stay in touch with your friends is important. Remember the mantra that ‘there’s only one thing more precious than your time, and that’s who we spend it on’. Make 2019 the year for building incredible memories and even stronger friendships. Why not go all out and host a dinner party to bring everyone together for a more classy evening? Together you can enjoy various tasty courses of food, with the perfect music and candles to set the tone of the evening. At Bratts, you can treat yourself to some new linens, napkins or even a new cutlery or plate set to really set your evening apart and show your friends the time and effort you’ve put into the evening. With so many ideas to play with like hosting a murder mystery night, a themed come dine with me night or just a make your own pizza party, you can treat your friends to a night full of fun and laughter. In our Northwich store we have a wide range of gorgeous kitchen and dining sets that will wow your guests. Spending on quality table decorations for the night means you can then save these as a treat for your table for the New Year or Christmas. Nights like this will be more memorable and make the longer distances between get-togethers easier to handle. Don’t fancy cooking in? Then don’t! Popping out every other week to a local cafe can be the catch-up chat you need to reignite your friendship fire. 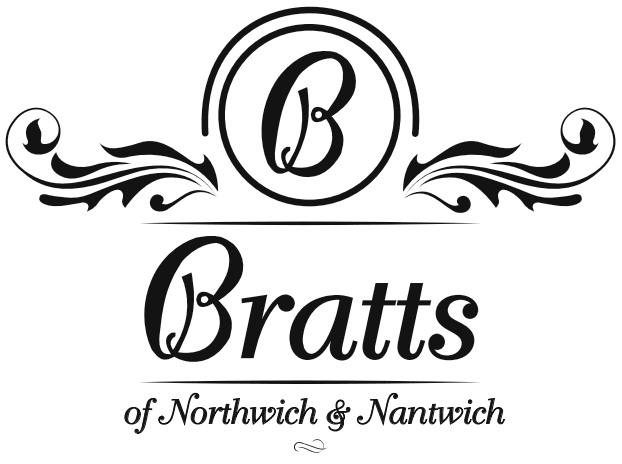 Bratts have amazing sandwiches (and even hot food) to offer in their Northwich cafe that will satisfy everybody’s taste buds. Not only are you getting to chat with your best friends, you also enjoy fantastic tasting food and drink too! Win win. If you want 2019 to be a good year, you need to love yourself above all else. Lots of people these days have difficulty loving themselves, and many of these feelings stem from unrealistic expectations in today’s media. Let’s make this year the one to look past these unrealistic ideals and realise what exactly it is that makes you ‘you’. These personality traits that make you unique are what you need to learn to love about yourself in 2019 if you want a successful year. One way to bring on that beautiful, body confidence is to get dressed up for a fun night out with family and friends. Why not treat yourself to a flattering new outfit and some new quality makeup to help you get ready to hit the town? Pop down to one of our stores and allow our lovely shop assistants to help you select the perfect party outfit. New Year’s resolutions are a tradition for the start of the year. We set goals that we would like to achieve in the following 12 months to motivate us to stay away from procrastination. It can be anything as small as learning a new skill or sport, or something more significant like finishing to write a book. Either way, having a goal to achieve can make that year feel more meaningful and memorable at the end. It can also be great fun getting out there and trying your hand at something new! Make a list of your resolutions at the start of the year. Try to limit yourself to one big resolution and a few small ones. If you try and achieve too much all at once, you will burn out and may even end up not accomplishing what you set out to do. With the end goal in mind, you can work towards it by assigning little targets throughout the year. Whatever your goal, set small, achievable milestones that you can easily reach. If you want a happy New Year, you need to be looking after your body. The way we treat our body can impact so many things like our self-confidence and physical health. You need to make sure that you are eating the right food and exercising enough, although it’s important to allow yourself breaks and treats along the way. It is about a lifestyle change, not a quick fad diet that won’t work in the long-term. Check out our blog here on healthy eating for a more in depth guide! Don’t rush into the first few weeks at the gym like everyone else and instead make a slow, regular change that will last. Keep track in a new notebook of what you are eating and when you are going to the gym to help make yourself accountable and stay on track. Treating yourself to some new workout clothes, equipment and cookbooks can also generate the motivation you need to get moving and eating better. Set your New Year off on the right track by making the necessary goals and targets you want to reach. Treat yourself to the new notebooks, stationery and clothes you need to make yourself feel good and ready to take on 2019 at Bratts. To learn more about our different branches and our business, contact us today for more information.